Arson is a Felony Criminal Offense in Las Vegas, Nevada and one can be charged anywhere from 1st to 4th degree Arson. Which degree of Arson you are charged with depends on what was burned. For example, committing an Arson offense on an occupied home is considered a higher degree compared to burning an abandoned storage shed or unoccupied personal property of another. Nevada Revised Statute “NRS” 205.010 defines arson in Las Vegas as “any person who willfully and maliciously sets fire to or burns or causes to be burned, or who aids, counsels or procures the burning of…” a variety of different items and structures. 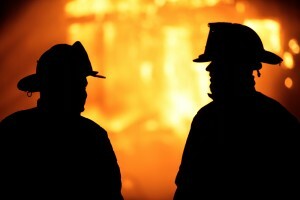 When charged with an Arson offense, it is crucial to contact a criminal defense attorney as soon as possible. An Arson conviction in Las Vegas can land you in prison for anywhere from 1-15 years depending of the degree you are charged with. Las Vegas Criminal Defense Attorney Michael A. Troiano, can start immediately to investigate your case and fight to keep you out of prison and the Arson charge off your record.